Make free Skype to Skype video and voice calls as well as send instant messages to friends and family around the world. – General fixes and stability improvements. – Call friends and family with free Skype to Skype voice calls over 3G* or WiFi and enjoy low cost calls to mobiles and landlines around the world. – Make free video calls to anyone else on Skype with high definition video on supported devices. 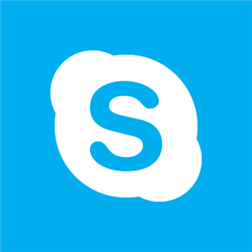 – Send instant messages to friends on Skype, as well as friends on Messenger if you sign in with your Microsoft account. – Stay in touch even when the app is closed, with call and message notifications. – See all your Skype contacts in the People Hub**. – Use more than one Skype account? Switch accounts when you’re out and on the go. – Skype for Windows Phone 8 requires a Windows Phone 8 device. – To ensure the best quality experience, Skype for Windows Phone requires a minimum of 512MB of memory. For the best Skype experience, we recommend using an unlimited data plan or a WiFi connection. * Operator data charges may apply. ** Available on Windows Phone version 8.0.10211.204 and above.